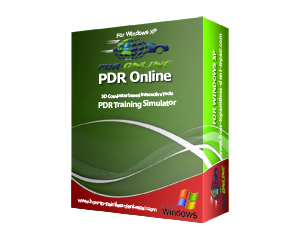 Your PDR Online training starts here. 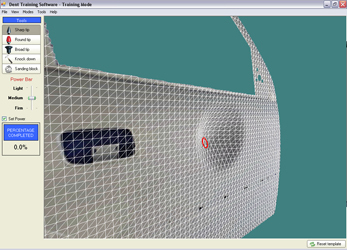 We have included some videos of PDR Online so you can see the software in action. For more information regarding this amazing training tool, scroll to the bottom of this page and use the links provided. Before you invest time and money on expensive training and tools, try PDR-Online and first understand the principals of Paintless Dent Removal. 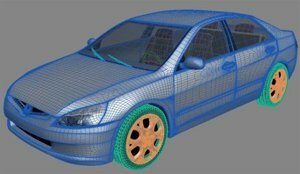 With PDR-Online you will not only receive step by step tutorials explaining the dent process, you will see how the metal moves to your interactive tools, and achieve a better understanding on the theory of PDR. By using the fully interactive PDR tools, you will discover different methods and skill sets used by master technicians around the globe, while eliminating the most common cause for failure in any PDR situation, not reading the dent correctly. This software will teach a complete novice everything about the theory of Paintless dent repairs, by eliminating certain problems associated with reflection and being able to understand how the metal moves to different types of stimuli. By breaking down the walls surrounding PDR, and removing this problem, we can actually show you what happens when you push in certain areas inside the dent, and how the dent reacts to sharp and round tools under pressure. PDR-Online training will aid your hands on education, with the skills you learn in this interactive program, you will bridge the gap that leads to most failures in the Paintless Dent Repair industry, and be more then ready to advance to the next level of your training.